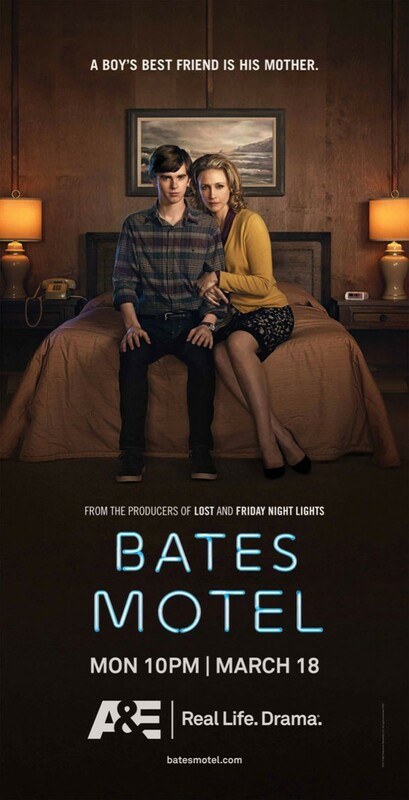 A&E‘s latest promo art for the Bates Motel TV series puts Norman and Norma Bates in the spotlight in a weird way. Mommy issues are bound to happen. The promo has in it’s tagline “A boy’s best friend is his mother.” This is creepy and twisted. This is perfect for the Bates Hotel TV series. 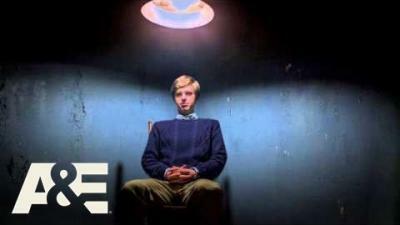 Starring Freddie Highmore and Vera Farmiga as Norman and Norma Bates, Bates Motel concerns the early days of Norman’s life. Following the tragic death of her husband, Norma Bates buys a motel on the outskirts of the idyllic coastal town of White Pine Bay, seeking a fresh start. As Norma and Norman get ensconced in their new home, they discover this town isn’t quite what it seems, and the locals aren’t so quick to let them in on their secrets. But the Bates’ are done being pushed around and will do whatever it takes to survive – and will do whatever it takes to protect their own secrets.